Claire Porter, for her appearance at the 2010 New York International Fringe Festival. 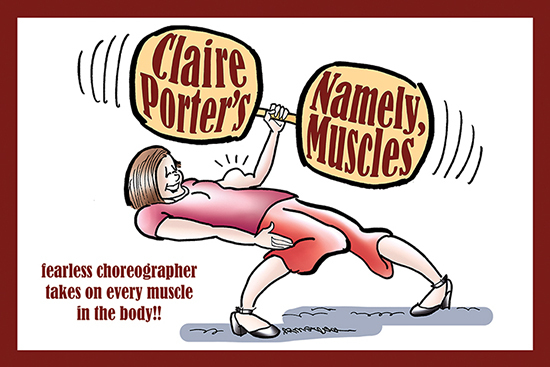 She performed one of her funniest and most ambitious pieces: Namely, Muscles: a zany tribute to all the muscles in the human body– and then some. Scroll down to see the back of the card.